Franke and the Knockouts were originally going to be placed in my selection of One Hit Wonders for 1981 because all I can remember about them was their one song “You’re My Girl” being played on the radio at the time and watching them perform the song on the ABC late night comedy show “Fridays.” For those who don’t remember “Fridays,” it was ABC’s attempt to match the very successful “Saturday Night Live” on NBC. It was roughly done in the same format and although it ran for a couple of years, “Fridays” couldn’t hold a candle to “Saturday Night Live” even after the departure of all the original greats like Dan Akroyd, John Belushi, Gilda Radner and Bill Murray. 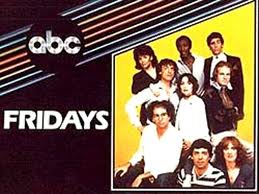 One thing I could say I liked about “Fridays” however was Melanie Chartof. She did stir my red blooded maleness and was the main reason I watched the show in the first place. So you’re probably asking, “What’s all this got to do with the album by Franke and the Knockouts?” Let me get back on track here. 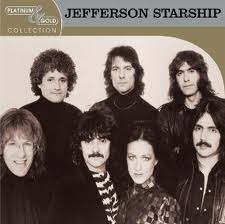 After doing a tiny bit of research, I discovered that they weren’t one hit wonders. I never knew it was them who performed “Hungry Eyes” and I can’t even blame my naivety on being in the service. Must have been asleep on that one. 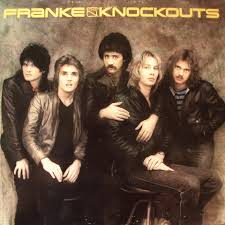 Still, the debut, self titled album from Franke and the Knockouts is more of a progressive AOR sound that fit right in about that time. The first three tracks give a definite feel that this album is heading down the AOR path. The single “You’re My Girl” marks a slight turning point for the songs get a bit more rockier after that. Not a total rock out but you can hear more of the guitar on those songs. That brings me to another point and my obsession for guitarists. 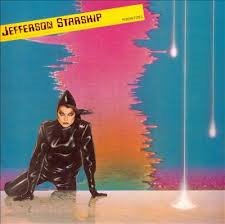 From what little I hear from Billy Elworthy on the album, I hear that this is potentially a great guitarist. Unfortunately, he isn’t given the time to show what he can really do and that’s a bit of a let down for me. I have to confess, I always thought the name Franke and The Knockouts reminded of a doo-wap band from the late 50s or early 60s. These guys are nothing like that. Instead, they bring a good fusion of progressive rock that can be enjoyed and is probably the reason a later hit would be often used in films.